No matter how much you enjoy your current apartment, unexpected life events happen. Do you suddenly have to move out of town for a job or family? Are you getting married? Whatever the reason, you will need to learn the proper way to notify your landlord in order to maintain a positive relationship and ensure a positive Gainesville moving experience. If you leave your apartment in negative terms, you may feel the effects for many years to come. In many ways, a negative experience with a landlord is similar to being fired from a job. Future prospective housing options will call your past landlords to determine whether you are a trusted tenant. However, if you leave a poor last impression with management, they will tell your new apartment manager negative facts that will greatly decrease your likelihood of getting your desired apartment. Notifying your landlord of your move with plenty of time will provide them with time to find a replacement and they will be less frustrated with you. 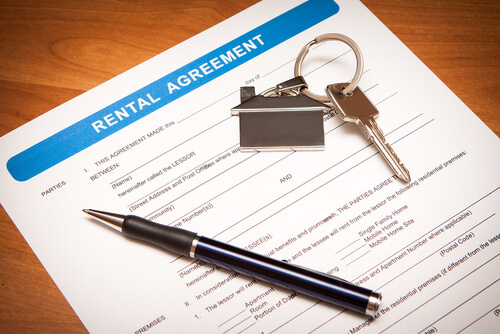 The key to renting from someone is to remember that your lease is a binding legal contract. Whenever you want to take a new step in regards to your relationship with your landlord, you must look over the fine print. Most likely, it will clearly state their policy on getting out of a lease early and how long your current contract is for. Also, be sure to keep track of rental cycles. Often, notice must coincide with the cycle so that if you provide notice in the middle of a month, it may take the remaining two weeks for the actual notice period to begin. It is always beneficial to provide more notice than necessary in order to be safe. Then you are free to begin scheduling with your Gainesville movers without fear of tension with management. In any relationship that involves the exchange of money or services, you must keep everything in writing. Therefore, you need to write a letter clearly describing your intentions. Be sure to write your full address with your unit number. One of the most important details is to write the date. This will help document when you provided notice. Then add the address of the management office. In the main part of the letter, you will want to include when you are planning on moving out, if you know of another tenant who wants to move in and whether you are going to thoroughly clean your unit in hopes of getting your security deposit back. At the end, you will want to provide your new address so they will be able to forward your security deposit to you. In order to give it to them, you can choose to do it in person, get delivery confirmation or send it by certified mail. Make sure that you keep a copy for yourself as proof. When you want to end a rental lease for an apartment, it is not as easy as a simple conversation. You must follow your contract, keep everything in writing and do it in advance. Once this is completed, you will be free to hire a Gainesville moving company and begin packing without fear of repercussions.